As I’m wrapping up my final semester at Rollins, I wanted to share with you some of the experiences I’ve had outside of the classroom, particularly at the CDC, as I know many of you will be interested in working there during your time at Emory. For the last year, I’ve been working as a Fellow in CDC’s OPHPR under the Office of the Director. The ongoing and unprecedented Ebola outbreak in West Africa has triggered CDC to fully activate their Joint Information Center (JIC), a 24/7 emergency preparedness unit within OPHPR, and, more recently, to move its emergency operations center (EOC) to its highest activation level – level 1. And THAT means that there is a wealth of people working diligently to help ameliorate the outbreak—both here in Atlanta and in the field in West Africa. My job has been to update CDC’s official statistics on the number of cases and deaths in each of the affected countries. Whenever WHO publishes an update (which is typically every few days), we update our figures to be consistent with those of WHO. In addition to the number of cases and deaths, CDC also reports the affected districts and number of CDC staff members in each of the countries. I also create presentations for the Director and other high-level staff regarding the CDC’s response to the Ebola outbreak – both domestically and internationally. As part of my involvement in the response, I was able to attend one of the meetings in the EOC’s command center with leaders integral to the response (see picture below). 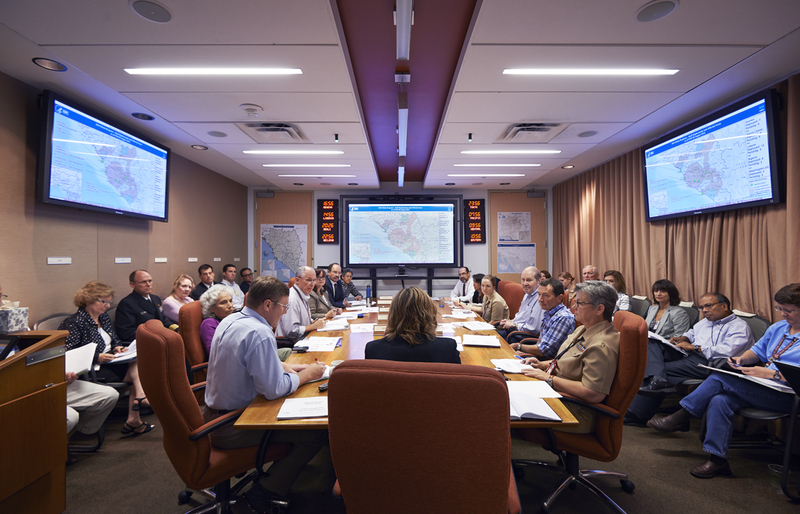 Epidemiologists, logisticians, and communications experts, to name a few, were in attendance, and representatives from the Department of Defense (DoD) and WHO participated via teleconference. It was fascinating to get a glimpse into the workings of an outbreak response with some of the world’s leading experts in the field. I am excited to continue working on the outbreak response and am particularly looking forward to working closely with OPHPR’s communications experts, who are keeping very busy. In fact, my boss recently has traveled extensively – both domestically and to West Africa — to work with partnering organizations to provide accurate information about Ebola to both the public and health care workers (you can read more about his experience in Nigeria here: http://www.cnn.com/2014/08/13/health/ebola-outbreak-frontlines/index.html?hpt=he_c1). Last Summer, I also worked for a bit in CDC’s Division of Viral Hepatitis, which is in the Office of Global Health within the National Center for HIV/AIDS, Viral Hepatitis, STD, and TB Prevention (a mouth-full, I know). There, I helped draft country-specific guidelines and comprehensive plans of action related to viral hepatitis prevention methods and treatment options. As part of the Student Outbreak and Response Team (SORT), I’ve also been fortunate enough to collaborate with one of CDC’s geographers to help map areas in West Africa to help aid the Ebola response. One of the difficulties faced by teams responding to the current Ebola outbreak in West Africa is identifying individuals and communities residing in remote areas. Existing maps of these regions either do not exist or are inadequate or outdated. This means that basic data like location of houses, buildings, villages, and roads are not easily accessible, and case finding and contact tracing can be extremely difficult. To help aid the outbreak response effort, volunteers from around the world are using an open-source online mapping platform called OpenStreetMap (OSM) to create detailed maps and map data of Guinea, Sierra Leone, Liberia, and parts of Mali. Commonly referred to as “Wikipedia for maps,” OSM is working toward the goal of making a map of the world that is freely available to anyone who wants to use it. The Humanitarian OpenStreetMap Team (HOT) is a U.S.-based non-profit organization that represents a subset of the OSM community. 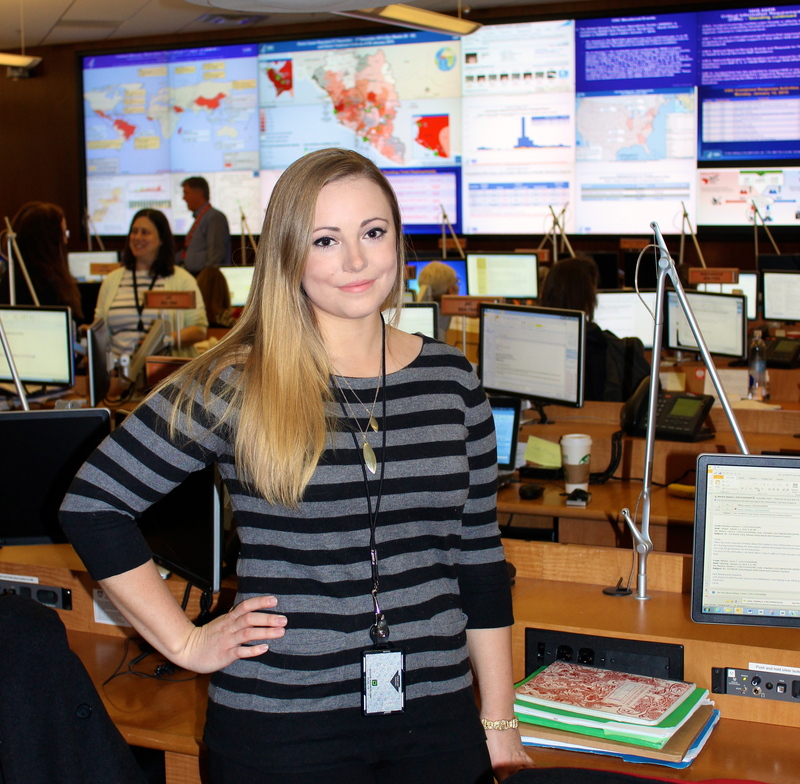 HOT’s mission is to use OSM data and tools to help prepare and respond to humanitarian disasters. 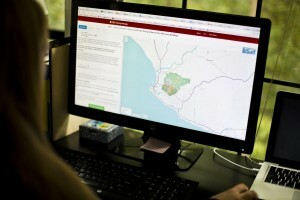 Because OSM data is available for free download anywhere in the world, volunteer mappers generate data that are useful not only to CDC but also to other agencies involved in the Ebola response, such as Doctors Without Borders (MSF), International Red Cross (IRC), and World Health Organization. Mappers frequently use satellite images to identify villages, houses, paths, and other details that were previously unmapped. The U.S. State Department’s Humanitarian Information Unit (HIU) is supporting HOT and OSM by creating the MapGive.org website, which provides easy-to-follow instructions on how to begin mapping very quickly. Personnel in CDC’s Division of Global Migration and Quarantine (DGMQ) are coordinating with HIU and HOT to support and promote volunteer mapping in affected West African areas where CDC teams are currently working. 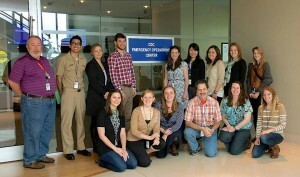 Members of Emory’s Student Outbreak and Response Team (SORT) are some of these volunteer mappers. SORT is a graduate student organization that collaborates with CDC and provides hands-on training in outbreak response and emergency preparedness. Ryan Lash, a mapping scientist in DGMQ’s Travelers’ Health Branch, initially contacted SORT for help in August as the number of Ebola cases in West Africa continued to rise. He has since provided two workshops for SORT members, taught a small number of CDC staff, and trained students at the University of Georgia. In the 8 months that HOT has been mapping countries with Ebola outbreaks, more than 2,500 volunteers have mapped more than 750,000 buildings and hundreds of kilometers of roads, resulting in detailed maps of affected West African communities. Not only do these maps help first responders and other organizations around the world, they also contribute to the national information infrastructure essential to the recovery and rebuilding of affected regions. The value of OSM was highlighted especially well during the 2010 Haiti earthquake, after which the U.S. State Department decided to promote volunteer mapping as a way for the general public to get involved in humanitarian emergencies. 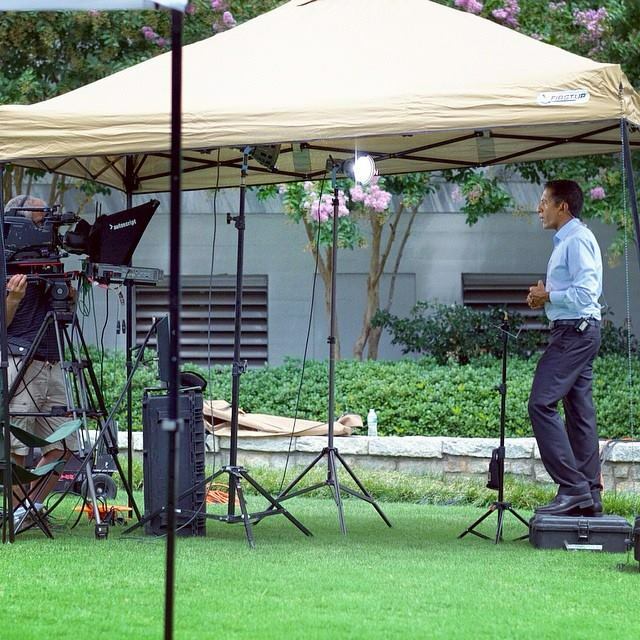 And, finally, on a side note, I also got to see Sanjay Gupta report on the two Ebola patients residing at Emory’s hospital. Previous PostPrevious It’s All Greek to Me!! !